Juaquin Malphurs (born May 31, 1986), better known by his stage name Waka Flocka Flame, is an American rapper signed to 1017 Brick Squad and Warner Bros. 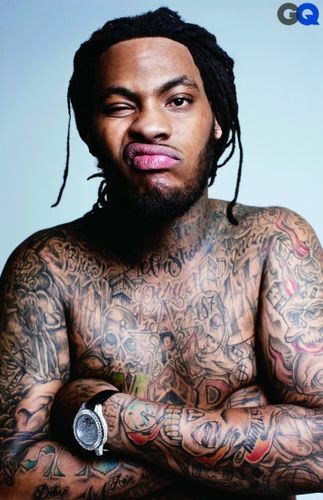 He is a Southern hip hop artist best known for his singles "O Let's Do It", "Hard in da Paint" & "No Hands", along with his debut album, Flockaveli. Waka Flocka Flame has announced that his second album, Triple F Life: Friends, Fans and Family, will be released during the spring of 2012.